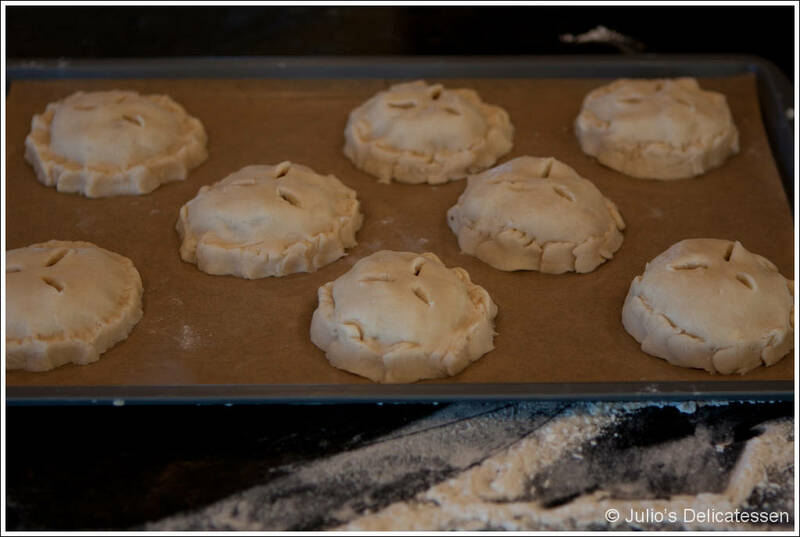 Make the pastry – process 1.5 cups of flour, all of the sugar, and all of the salt in a large food processor. Add the butter and shortening and process until fully combined, about 15 seconds. Scrape the mixture to the bottom of the processor and add the remaining flour. Pulse several times. Transfer to a bowl and add the vodka and water. Stir with a stiff rubber spatula to combine. 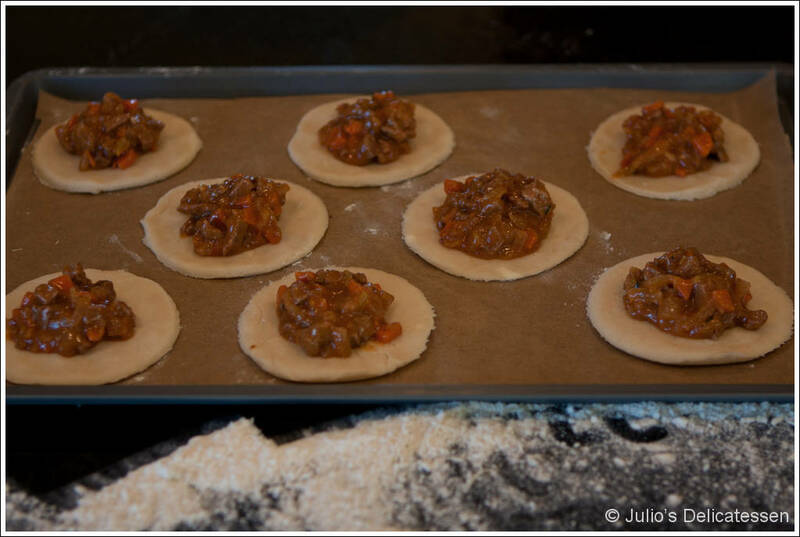 Divide the dough into two equal 4-inch disks. Wrap each disk in plastic wrap and refrigerate for at least an hour (or for up to 24 hours if necessary). Remove from fridge and allow to sit at room temperature for about 10 minutes. Roll dough into circles about 1/4 inch thick. Use a biscuit cutter (or a cup or glass) and cut 8 rounds from each disk (for a total of 16). 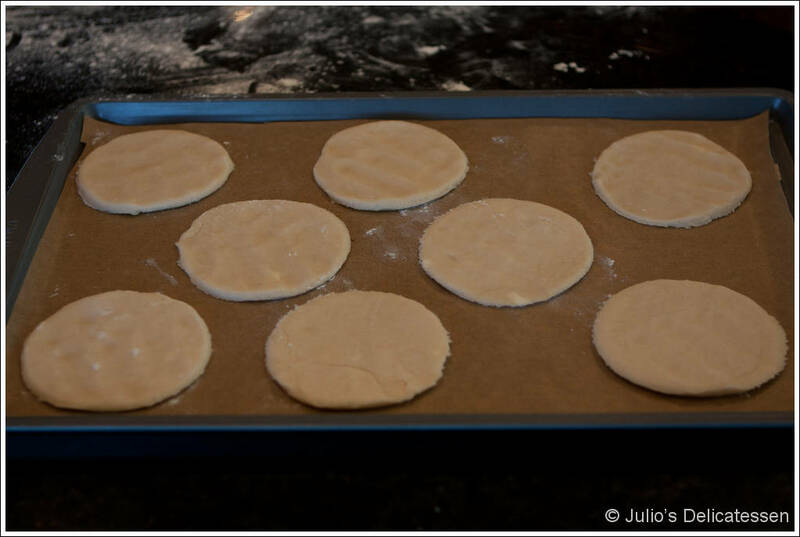 Place on a parchment-lined baking sheet, cover with plastic wrap, and refrigerate for 30 minutes. 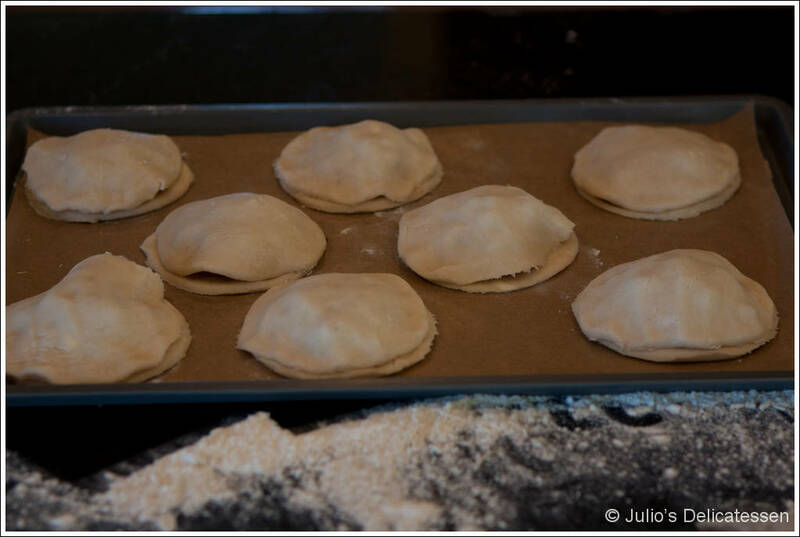 While the dough disks are in the fridge (the first time), make the filling. Cut the lamb into small pieces (about ½ inch squares) and season with salt and pepper. Add some oil to a pan over medium-high heat. Add the lamb and brown, stirring only once or twice, for about 8 minutes. Remove to a plate. Add the carrots and onions to the pan and cook until soft, about 10 minutes. Sprinkle with the flour and stir to ensure vegetables are evenly coated. Add the browned lamb (with any liquid), several sprigs of thyme, and the beef stock. Bring to a simmer and cook for about 45 minutes, until lamb is very tender and sauce is thick. 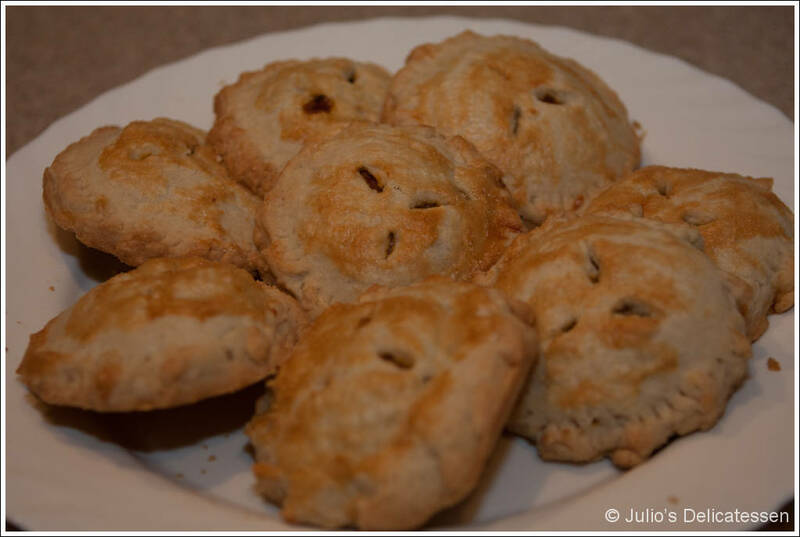 Assemble the pies – remove the pastry from the fridge. Spoon some of the meat mixture in the middle of each of 8 rounds, leaving about ½ inch of pastry around the edge. 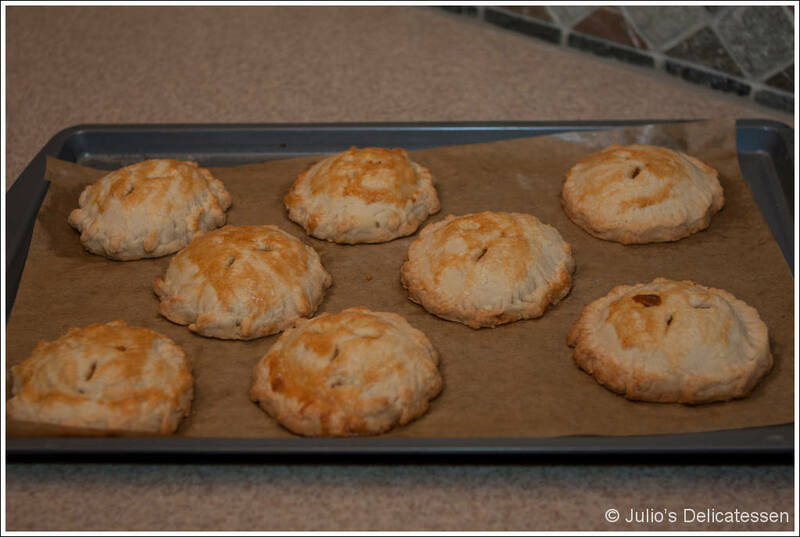 Place a second pastry round on top of each meat-covered round. Use a fork (or your fingers or both) to seal the edge. Poke a couple of holes in the top of each pie. Bake for about 40 minutes at 400 degrees. 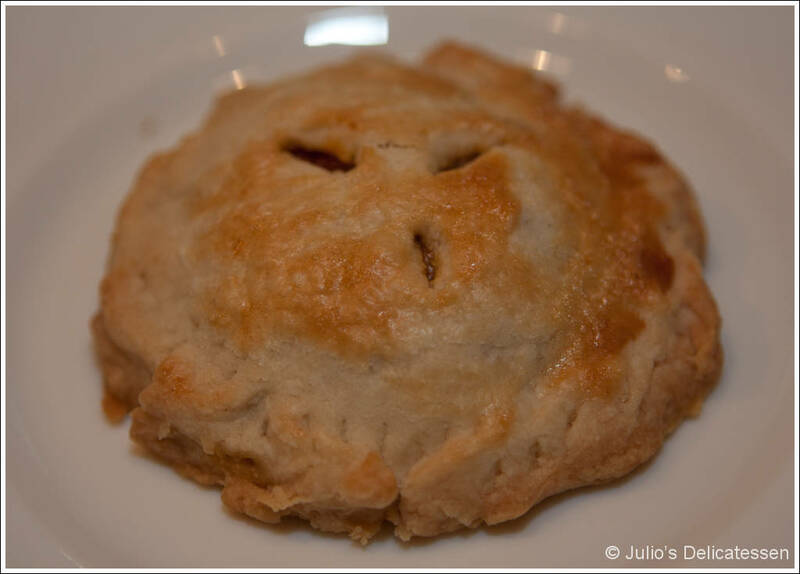 That is also the pastry for a double crusted pie– or 2 pies. Now you never need to buy a frozen crust for your chocolate chess pie. I wouldl like the name changed to the correct spelling.